Tickets are only available with the purchase of a copy of The Rest of the Story from BookPeople. Sarah will personalize copies of The Rest of the Story, and will sign 2 of her older backlist titles. AFTER YOU PREORDER YOUR BOOK, make sure to submit your receipt to Epic Reads to get this adorable book tote! CLICK HERE. 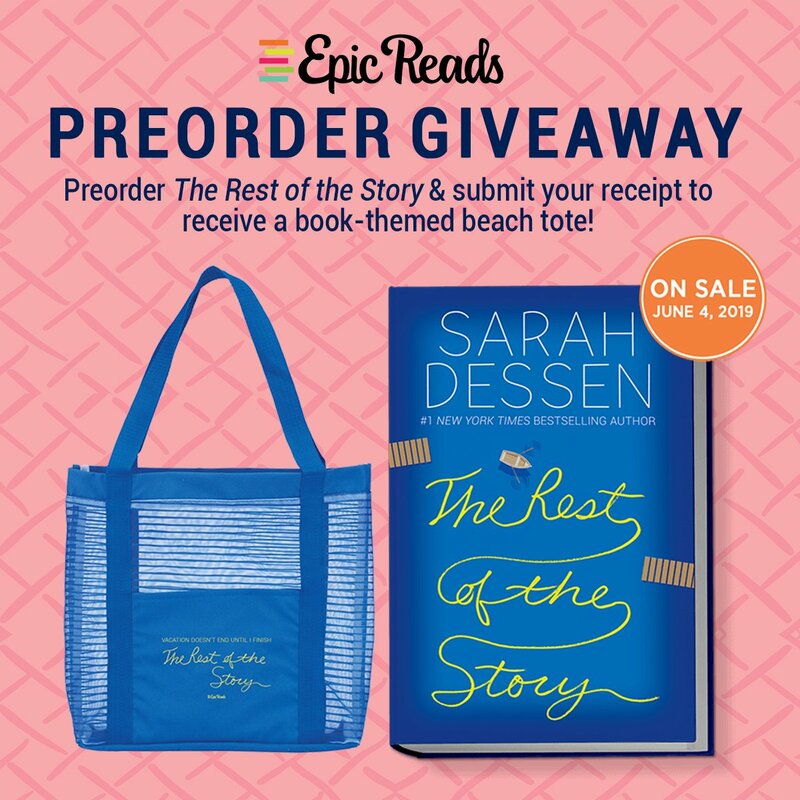 *NOTE: The tote bag will be coming to you directly from Epic Reads after you submit your receipt, it will NOT be included in your BookPeople order. The Rest of the Story is a big-hearted, sweeping novel about a girl who reconnects with a part of her family she hasn’t known since she was a little girl—and falls in love, all over the course of a magical summer, from #1 New York Times bestselling author Sarah Dessen. Sarah Dessen is the #1 New York Times bestselling author of over a dozen novels for teens including Once and For All, Saint Anything, This Lullaby, The Truth about Forever, Just Listen, and Along for the Ride. Her books have been published in over thirty countries and have sold millions of copies worldwide. That Summer and Someone Like You were made into the movie How to Deal. She is the recipient of the 2017 Margaret A. Edwards Award from the American Library Association for outstanding contribution to young adult literature. A North Carolina native, Sarah currently lives in Chapel Hill with her family. Thank you for supporting Sarah Dessen and your local independent bookstore!